Well, it's not tomorrow, but I did get a picture of it. It's finished blocking, I just haven't unpinned it yet. Now to figure what to back it with, but I will wait on that until next Thursday when I get paid and can go buy either some fabric, or a second-hand shirt I can tear up, to back it with. 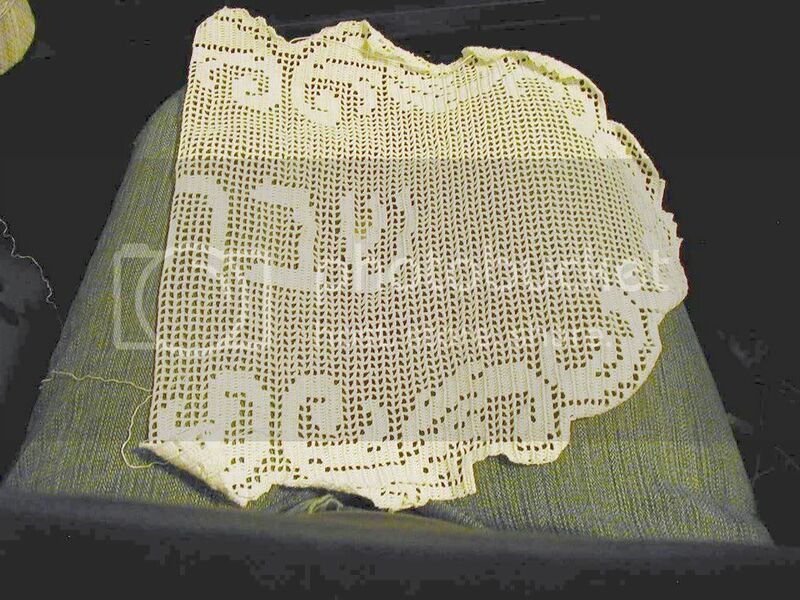 I'd like to get a blue similar to the foam squares I'm using, since it's a Jewish piece. Size 30 crochet thread, 1.25 mm hook. 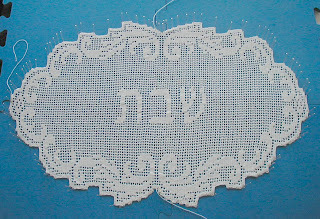 The border pattern I got from online, and I charted the letters myself from a alefbet I found online as well. Yay, the challah cover (crochet part) is done! I'll have pictures tomorrow night when I get it ironed and blocked. I'm going to back it in blue silk, as soon as I find some. Bedtime now, just wanted to update. Oh, and I've started a chainmaille project for Conn, my boyfriend, for his birthday gift. Good thing it's in July, I'll need the time! Again, pictures tomorrow.